It's new and official, proDAD Adorage Volume 12 (74 US Dollar) has been launched yesterday; sorry, we are late to announce it, but do not forget that we already discuss the topic in August 15th (proDAD Adorage Volume 12). This new volume brings 64 bits compatibility which was lacking until now. What does it mean ? Adobe CS5 and Vegas users are more than happy, since this means that all their older Adorage volumes will work again. For Pinnacle Studio users, no impact. Warning, the 32bits or 64bits is not related to the OS you are working on, but rather on your non linear video editing system. 2nd good news - 2000 effects ! 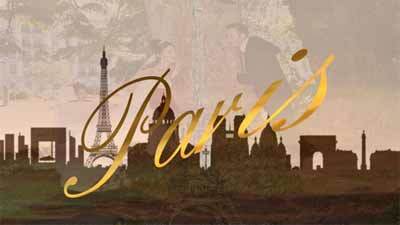 This package include more than 2000 HD effects, based on worldwide video and travel theme. It contains some aerial view as well as plenty other cool stuff like major cities view or possibility to do some nice split screen. Of course, those effects are still compatible with SD footage. 3rd good news - the price ! As usual with Declic Video FX Web Site, we offer 25% discount on this package as well as older packages (including the whole collection Adorage Volume 1 to 12 at the amazing price of 400 US dollars, 112 US dollars of discount !!). WARNING, 32/64 bits do not refer to your Operating System (OS), but to your non linear video editing system. If you are running a 64 bits OS but you have a non linear video editing system which is running as 32 bits only, the link #2 will be downloaded and used (it's the case of Pinnacle Studio for example). For more information, please consult our proDAD Adorage FAQ here. Pinnacle Studio (it's mandatory to already possess "transition plugin" or "filter plugin" to use Adorage within Pinnacle Studio - this plugin is to be bought at Pinnacle Shop). Here is a good idea for a christmas gift, isn't it ?Take note that Adorage Volume 1 to 12 is also available for purchase (at the amazing price of 400 US dollars, with 112 US dollars discount !!). Not working on Sony Vegas 10 64bits. 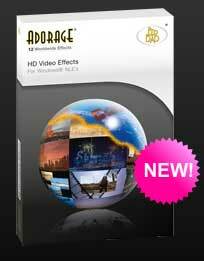 I just received an information from proDAD right now: you need proDAD Adorage Volume 12 to get Volume 10 working on Sony Vegas 10 64 bits. Do you have Volume 12 or Volume 10 ??? works fine in premiere cs5, but don't work in vegas 10 64bits. Toscal, did you contact proDAD ? They claim that it's working correctly with Volume 12 and Vegas 10 64 bits, nobody complain so far, so I strongly encourage you to contact them to get it solved. Seems you are an isolated case, maybe something get wrong when you installed it ? Yes, I have contacted them and they tell me that the problem must be mine. But I've seen in some forum that there are many problems. I will delete vegas and Adorage and reinstall everything. Well, they will say whatever they want, but don't work on vegas 9 or 10 "64bits"
What is exactly the problem? I need more infos and the protocol file. Please send me the protocol file so that I can analyse what´s happening there. Information on how to send such a protocol please find here.